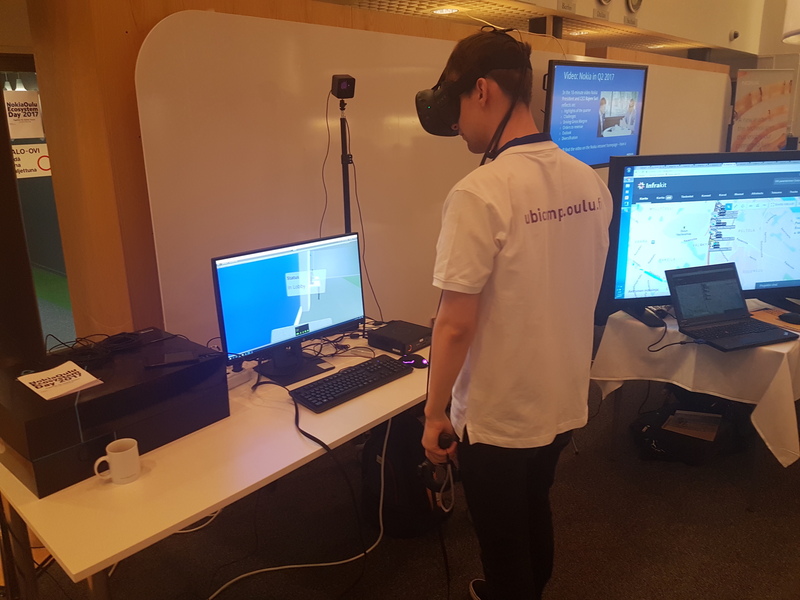 The Center for Ubiquitous Computing has taken part in the Nokia Oulu Ecosystem Day 2017, which took place on the 21st of September. 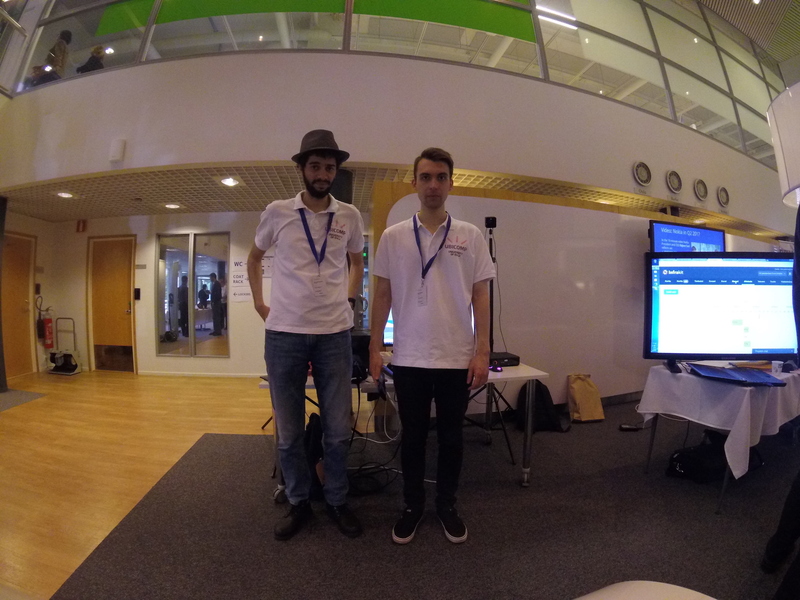 Nokia Oulu Ecosystem Day carries on from last year’s Open Doors Demo Day event. This year, the main theme of the event was the introduction of 5G verticals, including IoT solutions, printable technologies and industrial automation that will function on 5G platform in the future. The purpose of the event was to improve ecosystem collaboration, networking, and offer invited guests the opportunity to familiarise themselves with current projects and open opportunities for new 5G innovations. Nokia Oulu Ecosystem Day event included lectures held by industry experts, as well as various stands and demos in Nokia’s innovation lab OuluGarage. 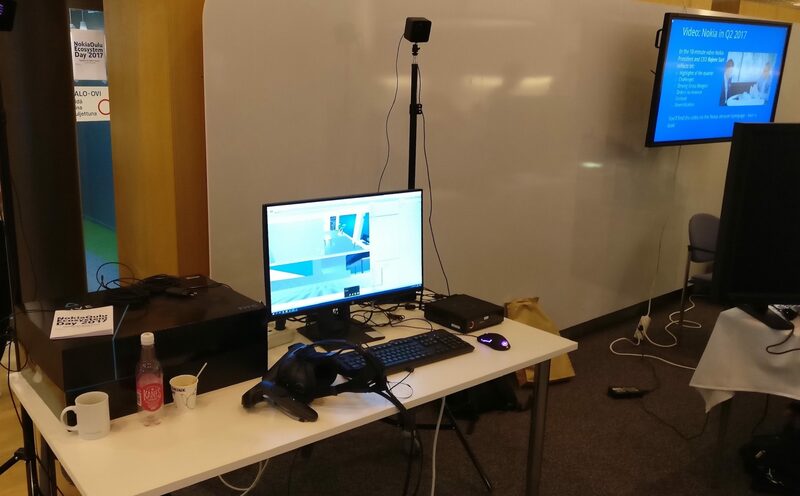 Our Center brought the “Hybrid Avatars” demo to the event. The hybrid avatar concept enables people present in a real-world environment to see and communicate with people who are virtually present in the same space using avatars. 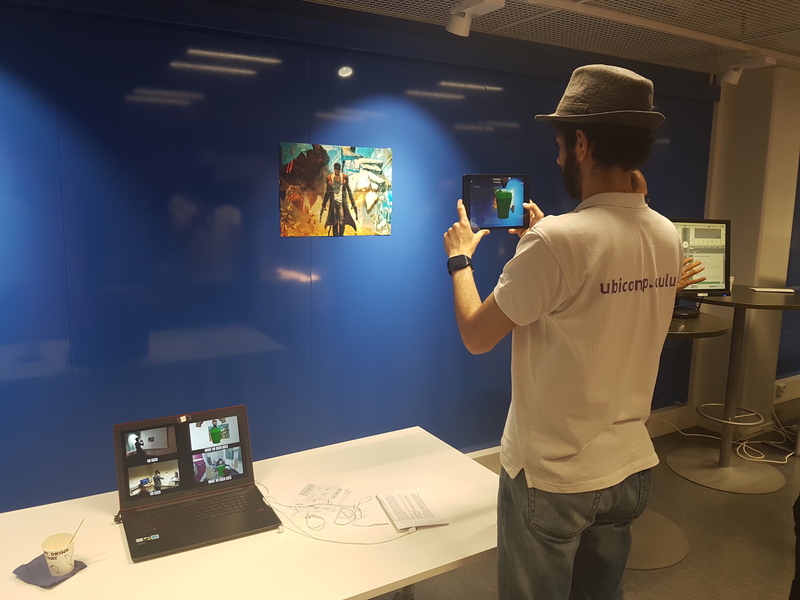 Check our video below showing the interaction between Augmented Reality (AR) and Virtual Reality (VR) users, by means of their avatars, and some photos from the event.